"Best, most outstanding looking and best, overall, temperament- dog I have ever owned-and I used to breed Labs myself. None of my dogs could come close to Buck!" 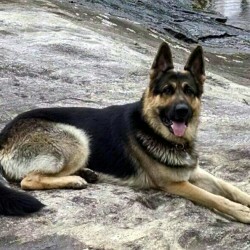 "Sampson, son of Luke and Sheba, saved us from a burglar several weeks ago. My daughter and I were sitting on the couch when someone opened our back sliding door. We jumped but Sampson charged back there and barked like we never heard him bark before. The door slammed shut and Sampson backed off when I got to the door. He is so gentle with my daughter, but he saved us from what could have been a dangerous situation. He is our hero. When the police came, he said that Sampson is a better security system than any we could spend thousands of dollars on. He saved us, and he is so sweet and gentle, you would never think he could jump into action like he did. Scary situation but I now feel safe at all times with my Pioneer GSD." 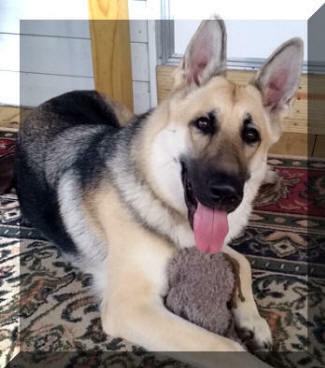 Welcome to our website, where as large German Shepherd breeders, our focus is on healthy, purebred German Shepherds that are not only oversized and with an old-fashioned appearance, but are also sweet tempered, intelligent and calm - the perfect family companion! We do offer German Shepherd puppies for sale, but only occasionally. You will see us use the phrases "large German Shepherds", "giant German Shepherds", "oversized German Shepherds" interchangeably as that is what we focus on, and German Shepherds are the only breed that we own :) Our puppy buyers affectionately refer to our dogs as Pioneer Shepherds as they are so unique. They truly are gentle giants! 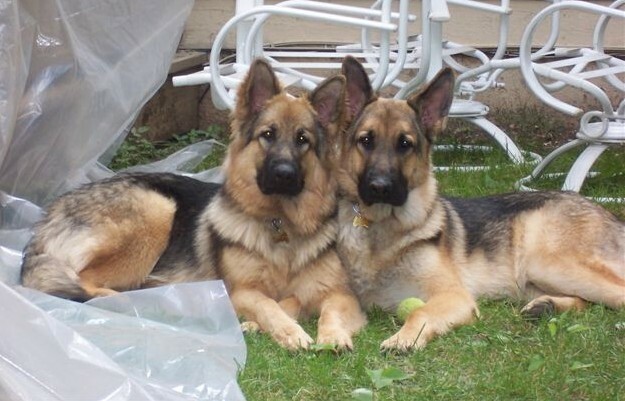 We do NOT guarantee size, but our dogs are, on average, usually larger than a typical German Shepherd. An adult female large German Shepherd from us can usually range from 80 to over 110 pounds at maturity, with a height of 25 to 28 or more inches at the shoulder. An adult male giant German Shepherd will usually average at minimum 100 pounds at maturity, to possibly over 140 pounds. Shoulder height for a male large German Shepherd can be usually anywhere from around 28 inches to possibly over 32 inches. Be aware that if you get a giant German Shepherd puppy from us, they tend to grow up to become giant German Shepherds. While we do have large German Shepherds, please realize that size is NOT the only thing that we focus on! Size means nothing if you do not have a healthy dog in the end. 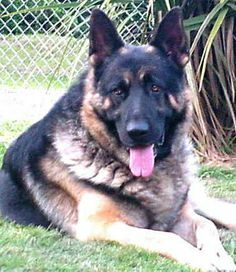 Our naturally large German Shepherds are also extensively health-tested before breeding, and depending on the dog may have had any of these multiple tests performed: hips (X-ray, OFA certification, or PennHip), elbows through OFA, TLI testing for exocrine pancreatic insufficiency, degenerative myelopathy testing through OFA, cardiac testing through OFA, AKC DNA profiled. 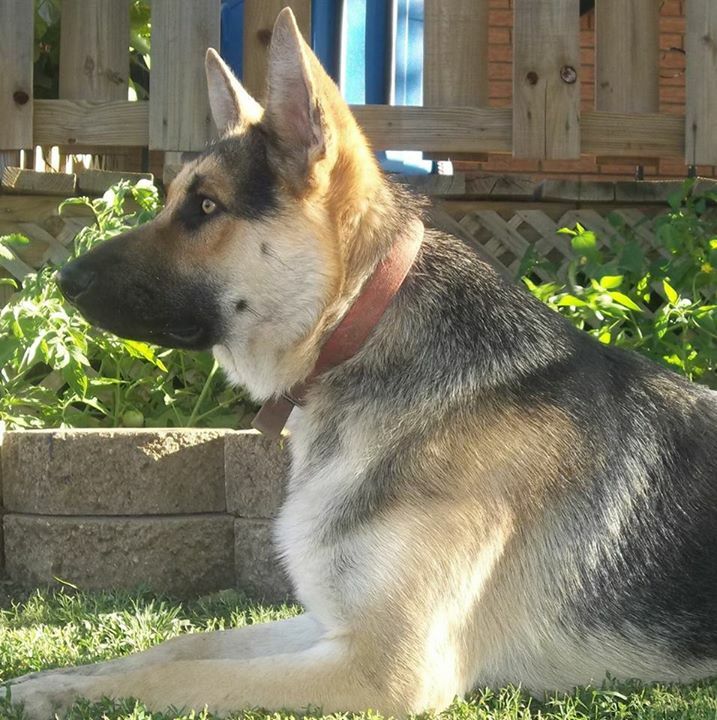 Our oversized German Shepherds also tend to have a sturdy appearance with a blocky head, large bone structure, and flat back reminiscent of the old fashioned German Shepherds of the 1950's and 60's. They are sometimes called old world or old style German Shepherds due to this straight-backed appearance. Again, our giant German Shepherds are large naturally, and are not pushed to be a certain weight. Many of the large German Shepherds in our lines have lived to be over 13 years of age. Our giant German Shepherd Ash is 10 1/2 years old, 145 pounds and doing great! 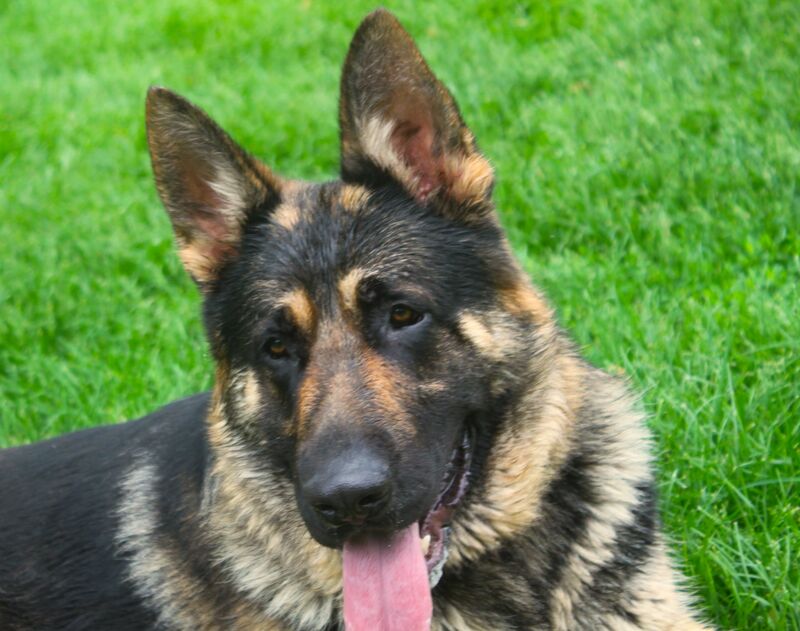 Our goals are to produce healthy, large German Shepherds that have a sweet, loving temperament with their family. Because of this, they are wonderful family companions first and foremost, but we have had many go on to become therapy dogs due to their wonderful nature. Some have done 4-H events with their giant German Shepherds, and others have excelled at obedience. Due to their size, a few of our large German Shepherds have been used for mobility assistance as well. As large German Shepherd breeders, we try to focus on low to medium drive, as high drive dogs are too intense for the average family. Our dogs are willing to play and enjoy the outdoors, but once they are mature, know when to settle as well. In addition, giant German Shepherds produced by us tend to be extremely smart. We have many oversized German Shepherd puppy owners who tell us tales of how their dogs have opened doors and windows, figured out latches on gates, or generally astounded them in one way or another. A giant German Shepherd pup produced by us. Please be aware that because of recent changes made to the Animal Welfare Act by the USDA, it is a requirement that all puppy sales are to be done face-to-face and in person. It is a regulatory change to an existing law. Therefore, we cannot and will not ship our large German Shepherd puppies. DO NOT ASK US IF WE WILL MAKE AN EXCEPTION FOR YOU. However you are welcome to come here to pick up your large German Shepherd puppy or for those who may be a distance from us, there is a possibility that we may be able to meet you up to 4-5 hours away from our location for an added cost. If you have any questions, please email us at . Please realize that because we are hobby large German Shepherd breeders, we will only have extra large German Shepherd puppies for sale once or twice a year, if at all. This also means that we do not usually have puppies, but you are always welcome to contact us and see what is available or being planned. Giant German Shepherd puppies from us can come in either short coat or long coat form. The short coat form tends to be a medium length that can be known as a plush coat. Both the shorter versions as well as the long hair varieties shed, if you do not want a dog that sheds do not get a large German Shepherd! 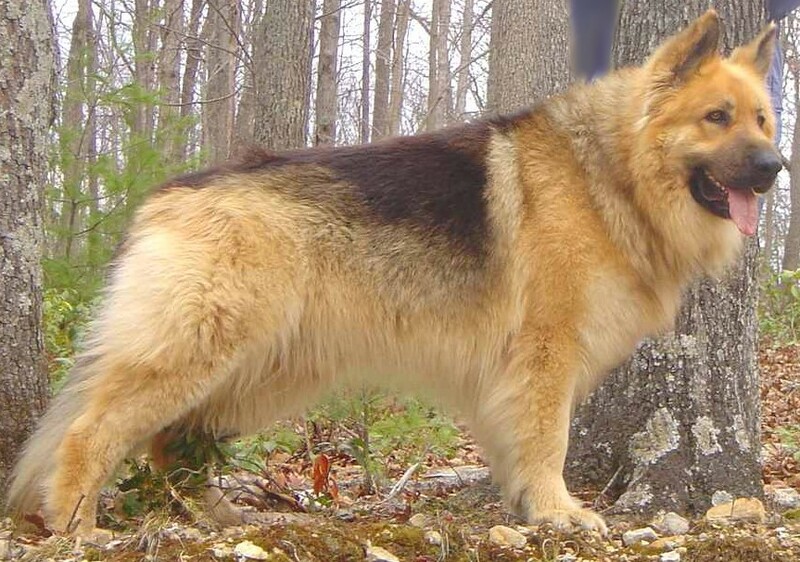 Oversized German Shepherds produced from us can also come in not only a variety of coat textures, but colors as well. While most litters produce the traditional black and tan German Shepherd that most think of when the name "German Shepherd" comes to mind, there are many other colors that can be produced, depending on what the parents are or carry for. And (as many people ask), yes, we will occasionally produce large white German Shepherds! Sable, bicolor, black, white and a white variation known as apricot or champagne can also be produced. 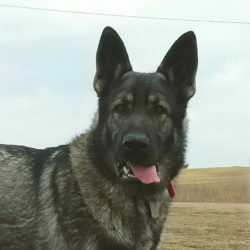 We have black and silver German Shepherds as well as silver sable German Shepherds in the lines, so it is a possibility that we may be able to produce that color. 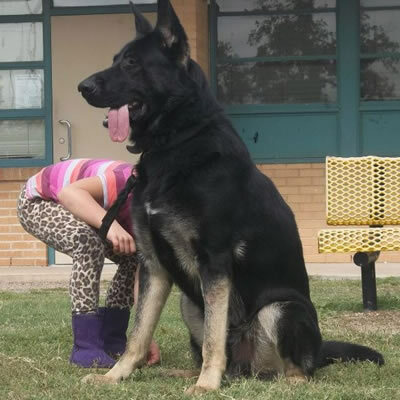 Sometimes people contact us asking if we will have black and red German Shepherds. Yes, we can occasionally produce black and red German Shepherd puppies, however this will not happen with every litter. We also produce a black and rich tan, which tends to have red intermixed. 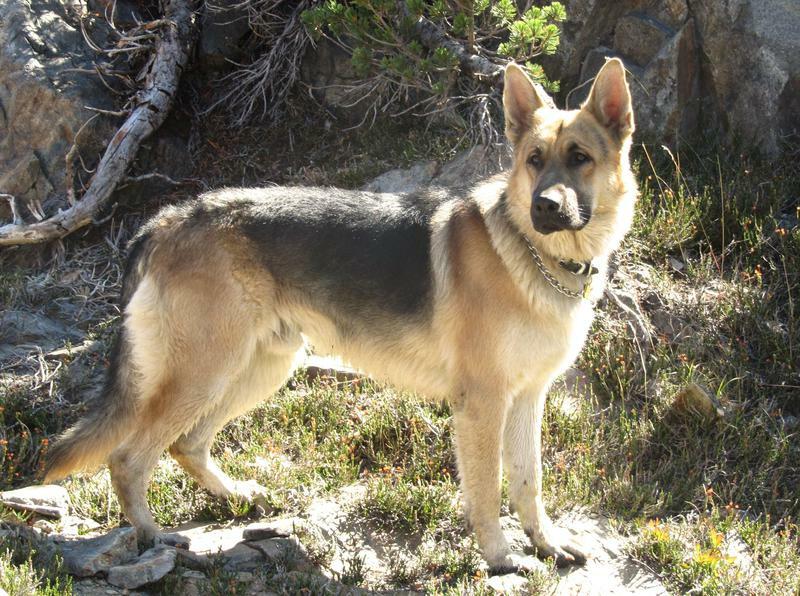 Some of our dogs are OR carry for what can be known as maskless German Shepherds or reverse masked German Shepherds. 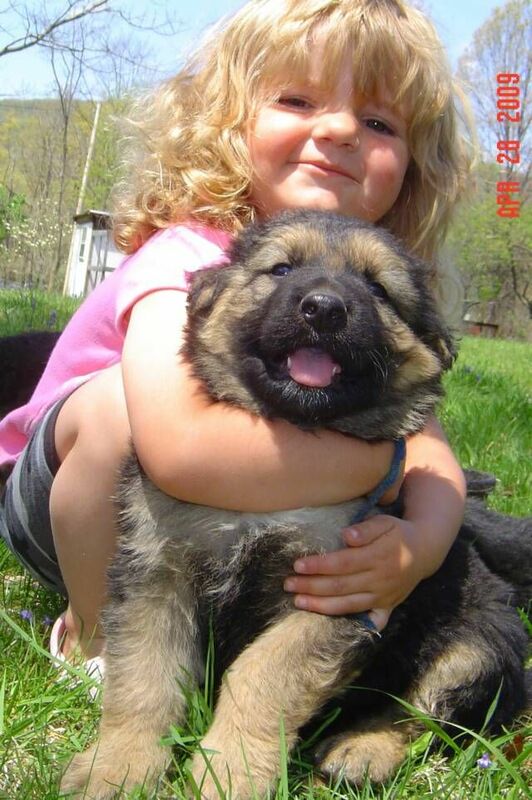 Viewing images of our past giant German Shepherd puppies is the best way to know what kind of colors we produce. Our contract and two year guarantee is available on request and does not require you to return your large German Shepherd puppy should an issue arise. We only sell our puppies to companion homes and do not sell our puppies to German Shepherd breeders. Some of our puppy owners affectionately call their dogs Pioneer Shepherds as they are so unique! We may occasionally have older extra large German Shepherd puppies for sale along with adult oversized German Shepherds. If not, we may be able to refer you to someone who does. Black and red German Shepherd female owned Pioneer Shepherds. Above is a flash-based slideshow of some of past large German Shepherd puppies produced by us as well as our own large German Shepherds. If you are unable to view the images, please contact us so we can email you some individually! There are some questions that are frequently asked about our dogs. In order to make things easier and hopefully help answer them, I have compiled these into a list and go into more detail at each link. Are your dogs King Shepherds? | Are your dogs Shiloh Shepherds? 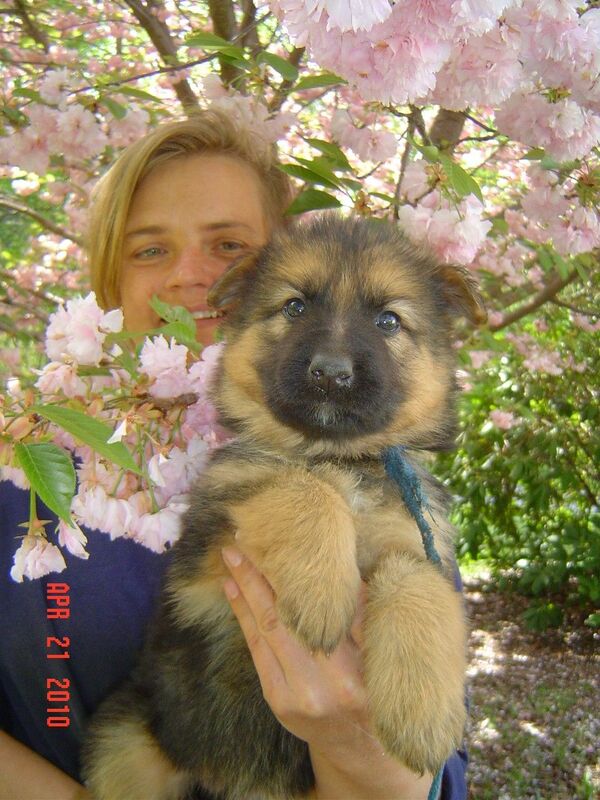 An old fashioned German Shepherd female pup produced by us.